The 2019 Jaguar XJ price starts at $76,000* MSRP and offers six different trim levels for Scottsdale drivers to choose from, including the option of a standard wheelbase or a long wheelbase for more legroom. Learn more about the Jaguar XJ price options at Jaguar North Scottsdale, then contact your local authorized Jaguar retailer for a test drive to experience these features in person! The R-Sport has a standard wheelbase and offers features including adaptive full LED headlights, panoramic moonroof with power sunblinds, active ventilated heated and cooled front seats, 10” Touch Pro™ with connected navigation and Pro services, and the Meridian™ Surround Sound System with 825 watts and 20 speakers including two subwoofers. This model has a longer wheelbase with extra rear-seat legroom, new 19” 5 split-spoke wheels, as well as heightened XJ interior luxury including perforated soft grain leather seats with diamond sew pattern quilting, 18-way power adjustable front seats with front seat massage, four-zone automatic climate control, and more. This trim comes standard with 340 hp, 30.L supercharged V6. Get added luxury style on this trim with features like chrome side power vents, illuminated branded tread plates, unique 20” 5 split-spoke ‘style 5045’ wheels with a gloss black diamond turned finish. This model offers the standard wheelbase like the XJ R-Sport, but with a standard 470 hp 5.0L supercharged V8 engine for more fun on Paradise Valley roads. It has 20” 5 split-spoke wheels and many of the same standard features as the XJL Portfolio plus electronic locking rear differential. This trim level shares the XJ Supercharged engine, but with 4.8 inches of extra rear-seat legroom. It has plenty of personalization options, 20” 10 split-spoke wheels, 18-way power seating, four-zone automatic climate control, and more. The XJR575 is the highest trim level and offers the most powerful performance, with 575 hp from a 5.0L supercharged V8 engine with rear-wheel drive. It includes features of the XJL Supercharged, plus unique stylings like hood louvers, red brake calipers, sports exhaust with quad pipes, and XJR575 tread plates. 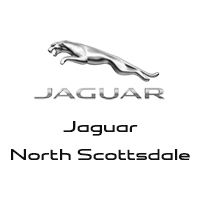 When you are ready to take home a new Jaguar XJ for sale near Cave Creek, browse our inventory at Jaguar North Scottsdale. If you want a more budget-friendly Jaguar XJ option, consider a pre-owned Jaguar XJ from our inventory of used luxury cars. 0 comment(s) so far on How Much Is the Jaguar XJ?